How many of you during the free time sit back, open the gallery and edit the images of your choice either in collage form or by changing it texture? I am sure most of you do it. I too am addicted to add creativity to the images in my gallery. Images as they say speak a thousand words and if the image is of good resolution, visually appealing and conveys the right message, then one has nothing much to say; it does the job well. Simple images are no more in trend instead people love playing with the image, adding creativity to the same and sharing it with friends. Talk of the day is creating pixel art in Google Sheets in a simple and fun manner. 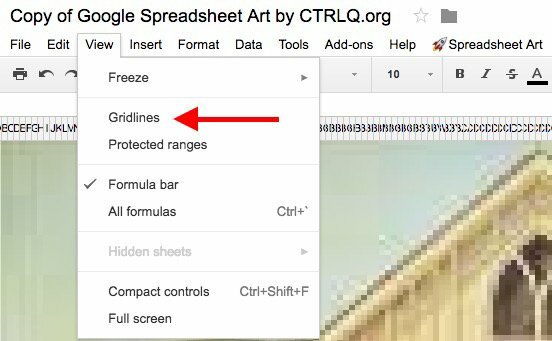 Want to know how long it will take to let you create pixel art with the help of Google Sheets? Well, not more than three steps. Don’t believe me? 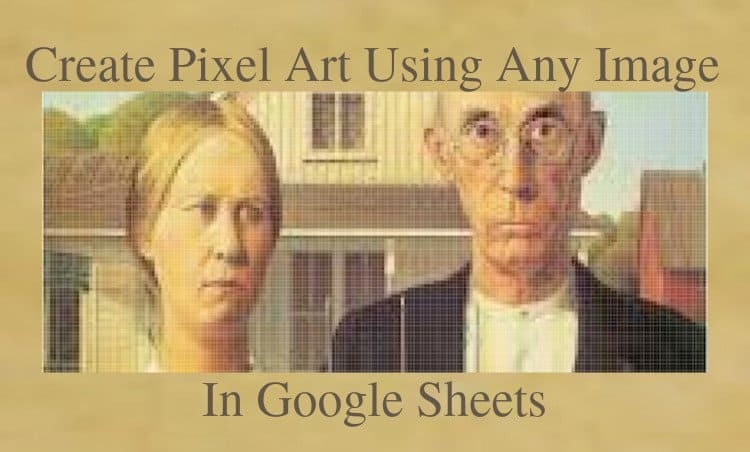 Read on and you will understand why I say that its just a matter of a few minutes to create pixel art in Google Sheets. Click on the Link here. 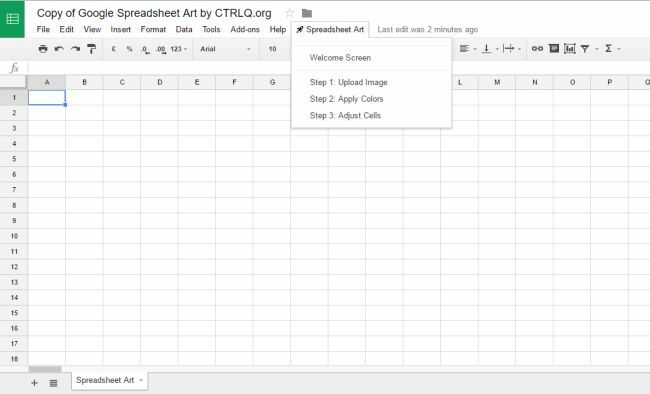 It will enable you to copy the Google Sheets art template file over to your Google Drive. The three major steps that need to be followed are listed below. Check out the menu bar. Click on ‘Spreadsheet Art’ which is right there in the menu bar, choose the image from the destination. Choose ‘Upload Image’ option and locate the picture that you want to use from your desktop. Click on the ‘Apply Colors’ option and you will see the change in the background color of every cell on the spreadsheet. The script here plays a major role in it. Enter the cell size (for example 1 pixel to turn the rectangular cells into squares). Do I need to spare more words? Images pinned here, along with the steps listed here and the ones I have picked to be tested does the real justice and speaks for itself. Once you are done, you can simply ‘Turn Off the Gridlines’ in the ‘View’ menu if you find the need to do so. Save the result and share this creative pixel art work with your colleagues and friends. I am sure they will get curious to ask you about how you got such wonderful results. If yes, why not share the article with them to make them understand the simple steps following which they too can convert their simple images into pixel art. If you get the satisfactory results and find these steps worth sparing time, keep trying and experimenting with other images and have fun. Don’t forget to share your views with us by dropping in your comments below. We would love to hear from you all to let us know if you like the idea and small trick that does work in converting simple image into pixel art. 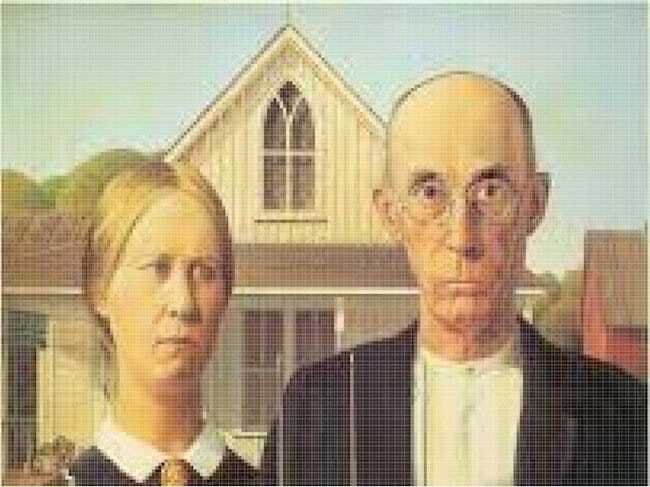 300 pixel square max size according to the sheet… how did you get that entire american gothic image in there?